Beevision is an Official Development Partner of the Olympic Spirit Group. Olympic Spirit offers visitors a taste of what it’s like to be an Olympic athlete in a highly participative and exciting environment, using the latest developments in interactive display, simulation and video technology. Olympic Spirit is officially licensed by the International Olympic Committee worldwide, and by the Canadian Olympic Committee in Canada. Lake Geneva-based Olympic Spirit is officially authorised by the International Olympic Committee to design, develop and manage Olympic Spirit Centers worldwide. 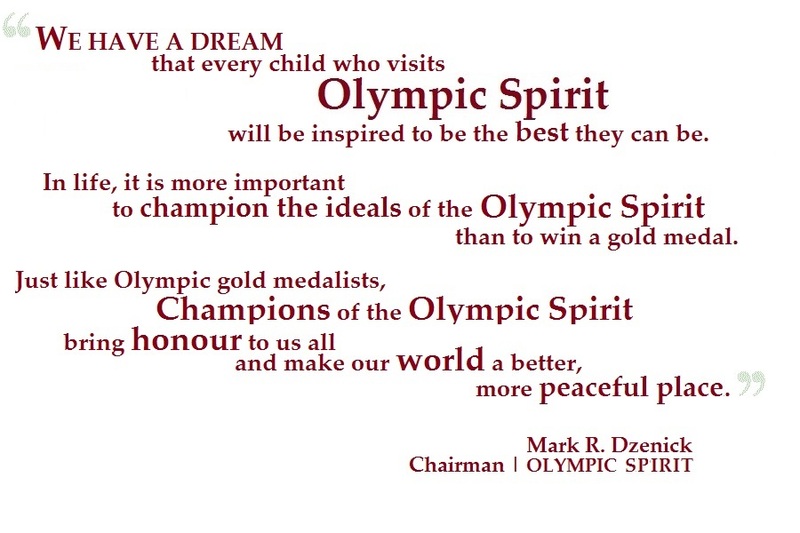 Olympic Spirit is led by Mark R. Dzenick, Chairman & Chief Executive Officer (formerly of the IOC). Olympic Spirit is officially licensed worldwide by the International Olympic Committee and in Canada by the Canadian Olympic Committee.